The perfect tool to remove road stripes, fire lanes, parking lot striping, and more. 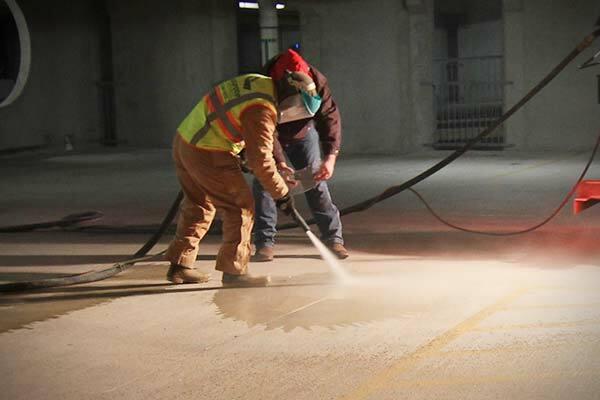 Dustless Blasting's powerful process completely removes paint, sealer, oil stains, tar, and thermoplastic from pavement, leaving no trace behind. 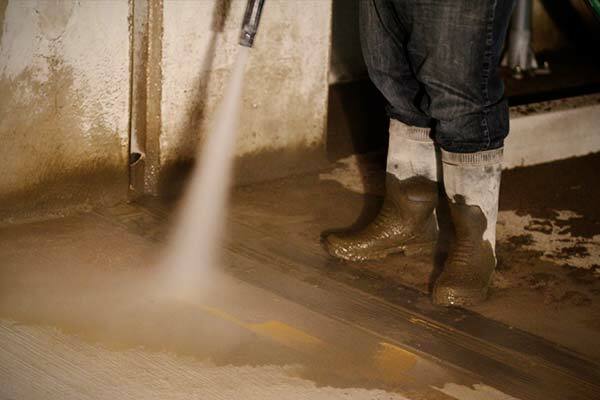 See why it’s the future of surface preparation. You can even use Dustless Blasting to texture and etch hard surfaces, which can become a huge revenue stream for your business. Dry blasting indoors would fill the space with dust and reduce visibility and breathability. 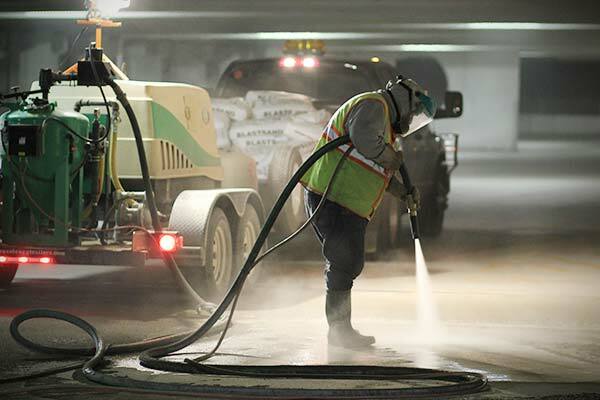 Because our process suppresses dust, it’s ideal for confined spaces, like parking garages. "It blasts the heck out of those lines. Our other machine would use twice as much media and there would be dust everywhere." Completely removes line stripe, even thermoplastic. The quickest method for curb stripping. Pavement stripes can be removed at 18 linear feet per minute. Are you ready for the fastest, cleanest, and greenest way to remove line stripe?